The 1980s saw screen-printing, batik and silk painting being introduced to a number of Indigenous communities as an economic opportunity to adapt traditional art, using new materials, for an outside market. 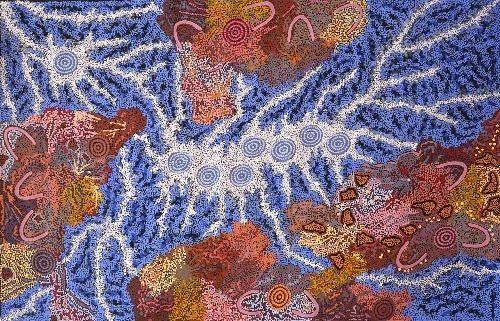 Many of the great female artists from Utopia joined the Utopia Women’s Batik group, as it was an entry point in to the Aboriginal art movement for a lot of women, including Emily Kame Kngwarerye, who was a founding member. In 1988 a collection of Batiks were shown throughout Australia and travelled to Ireland, Germany, Paris and Bangkok. One year later, the artists made the transition from batik to acrylic on canvas and the Utopian art movement had begun!